Today, there are over 950,000 Israelis living within range of rocket, mortar and grad attacks, with the highest population in Be’er Sheva, where approximately 531,000 civilians have 60 seconds to find shelter in case of an attack. 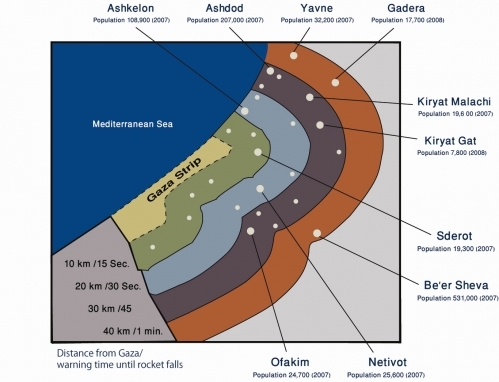 The map below indicates how much time people have to take cover given the distance the rocket travels. Those living in the 10 kilometer range have 15 seconds to find safety once the alarm sounds, those in the 20 km range have 30 seconds, 30 km – 45 seconds, and 40 km a minute. 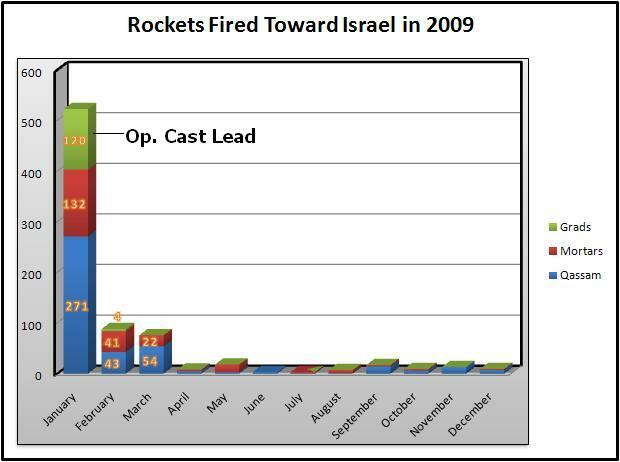 Operation Cast Lead was initiated to reduce the number of rocket attacks against the inhabitants of southern Israel and was highly successful in its goal. 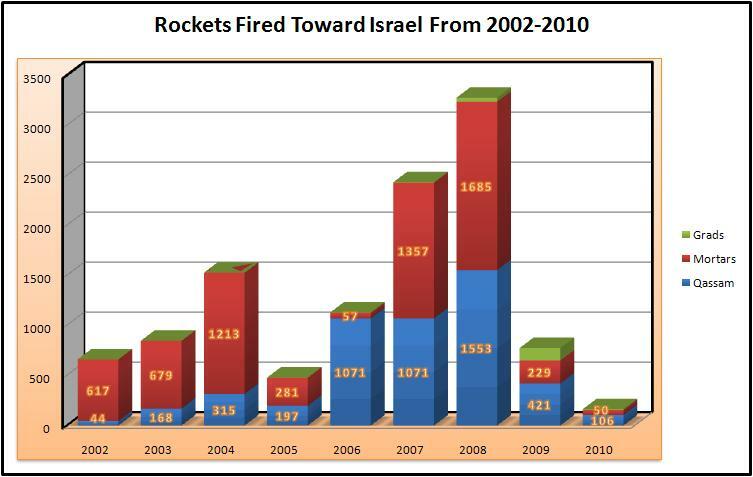 Each Projectile, whether a Qassam, a mortar or a Grad can reach a wide range of distances. 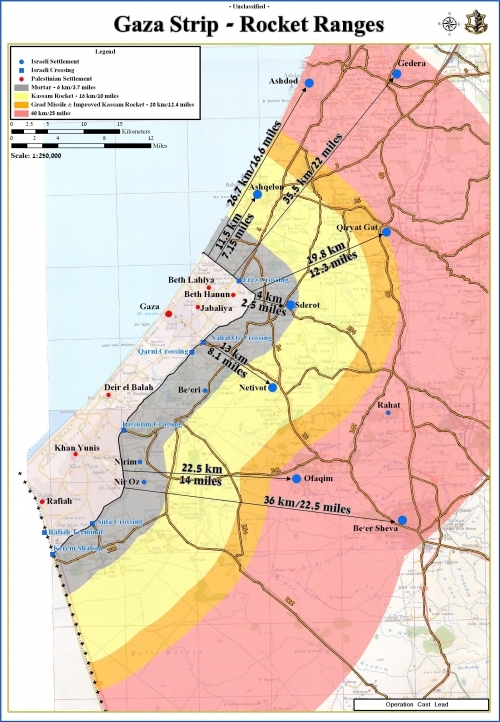 The map below marks the ranges of rockets fired from the Gaza Strip. The grey area refers to mortar shells, the yellow to kassam rockets, the orange improvised kassam rockets and Grad missiles, the red area refers to the range of upgraded Grad missiles. 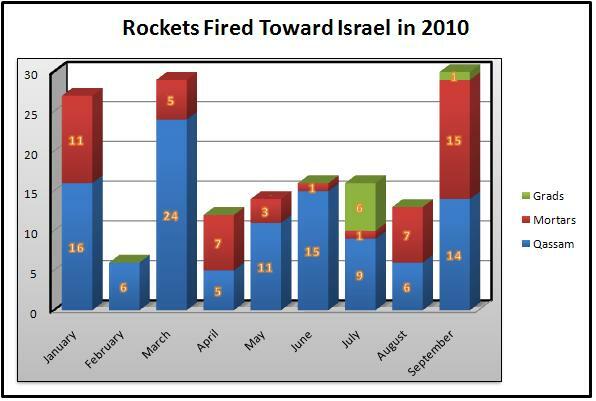 For all posts regarding rocket attacks click here.